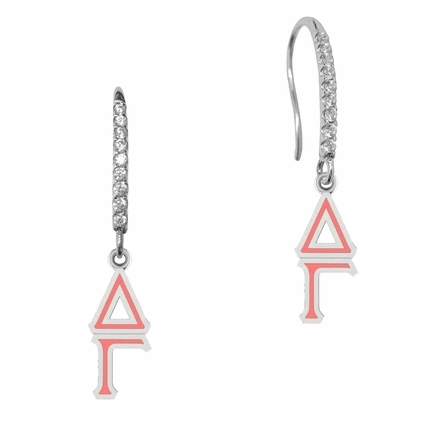 Your sorority's lavaliere in a simple dangle earring beautifully accented with 18 round cubic zirconia and your sorority colors. The subtle sparkle gives this earring a little pizzazz and the color give the earrings a wonderful accent. 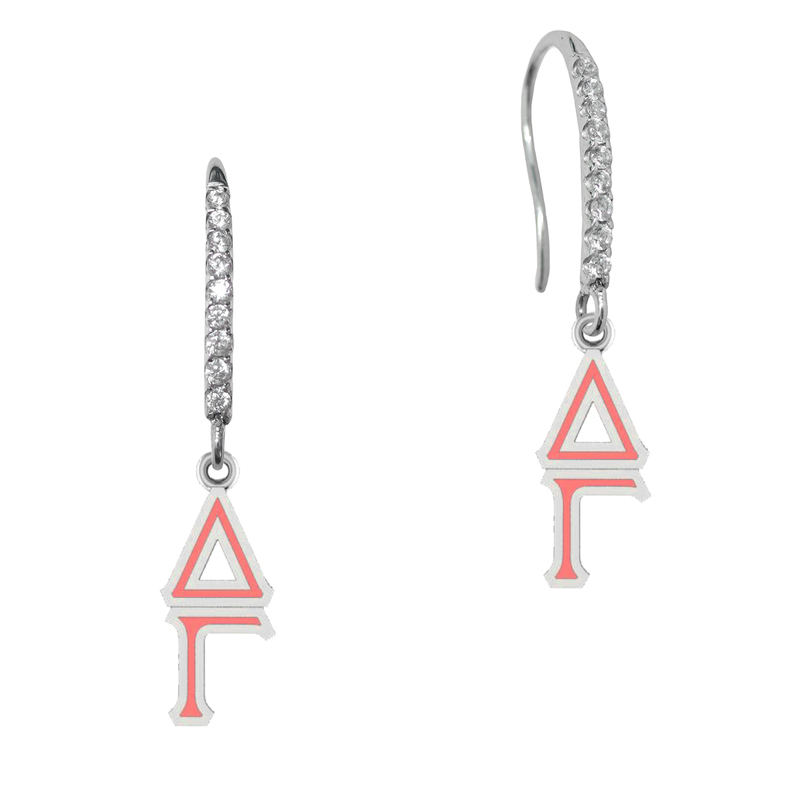 Our sterling silver lavaliere earring collection utilizes state of the art manufacturing and high quality solid sterling silver to create the finest collegiate earring anywhere! Spirit with style. "the indicia featured on this product is a protected trademark owned by the respective fraternity or sorority."